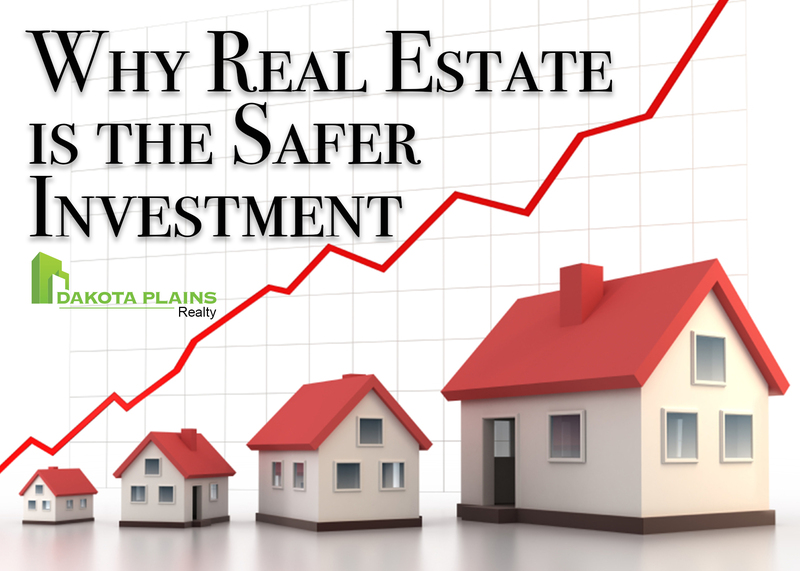 Why Real Estate is the Safer Investment. As opposed to owning a share in a company, real estate is a tangible asset - it is an investment that is physically available and brings satisfaction to the investor; They have a sense of pride in their ownership. Furthermore, to ensure least risk it is important to diversify your investment portfolio. This can be done by investing in real estate as its’ correlation with other tangible and non-tangible assets. Investing in a property is the one of the quickest ways to make your return but it also promises you steady return over a long period of time. The average 20-year returns in the commercial real estate slightly outperform the S&P 500 Index, running at around 9.5%. Residential and diversified real estate investments do a bit better, averaging 10.6%. Real estate investment trusts (REITS) perform best, with an average annual return of 11.8%. Stocks can be very volatile, especially when the economy or the company is facing challenges. Also, stocks are often emotional investments, and your decisions within the market can often be irrational. In general, your risk of loss goes down the longer you hold real estate investments. Your equity builds and home prices rise over time. That is unlike the stock market, where the risk typically stays the same. Properties provide security to the buyers. Properties are assets that will almost always grow in value. Whether you buy a commercial or residential property, the rates will increase during inflation owing to increasing prices. In the stock market, anomalies are quickly adjusted for by other investors. In the real estate market, there are thousands of little markets. You can always find deals and “buy low” and sell high Since inflation has a negative impact on fixed-income, people who invest in bonds will be at a disadvantage. We'll assist you in finding that ideal property. Due to limitations in search parameters, we are unable to display certain properties. Please contact us with a brief description of what you're looking for. 2. Click on Sign Up. 3. Provide your account information. With an account on dakotaplainsrealty.com you'll be able to save searches, get updates on listings, track listings and much more. © 2019 Fargo-Moorhead Association of REALTORS. All rights reserved. Information deemed to be reliable but not guaranteed. The data relating to real estate for sale on this website comes from Fargo-Moorhead Association of REALTORS and the Broker Reciprocity Program.sm. Real estate listings held by brokerage firms other than Dakota Plains Realty are marked with the BR logo and detailed information about them includes the name of the listing brokers. Listing broker has attempted to offer accurate data, but buyers are advised to confirm all items. Information last updated on 2019-04-21. © 2019 Fargo-Moorhead Commercial Exchange All rights reserved. Information deemed to be reliable but not guaranteed. The data relating to real estate for sale on this website comes in part from the Broker Reciprocity Program. Real estate listings held by brokerage firms other than Dakota Plains Realty are marked with the BR logo and detailed information about them includes the name of the listing brokers. Listing broker has attempted to offer accurate data, but buyers are advised to confirm all items. Information last updated on 2019-04-21. © 2019 Bismarck Mandan Board of Realtors. All rights reserved. Information deemed to be reliable but not guaranteed. The data relating to real estate for sale on this website comes from Bismarck Mandan Board of Realtors and the Broker Reciprocity Program.sm. Real estate listings held by brokerage firms other than Dakota Plains Realty are marked with the BR logo and detailed information about them includes the name of the listing brokers. Listing broker has attempted to offer accurate data, but buyers are advised to confirm all items. Information last updated on 2019-04-21.